Aletheia follows a young woman only known by her number, 736. She lives with the other numbered and nameless people in an underground compound. In exchange for the cure to the awful disease which has ravaged the human population, she gets to live as a slave working to support the utopian city above ground. The settings in Aletheia are beautifully described and intricately detailed. There's everything from breathtaking cities to crumbling sewers crawling with zombie-like people infected with the disease. All of the characters are dynamic and complex, ranging from the pyromaniac Arson who fiercely loves the people around him to the soft spoken and delicate Rose whose internal strength is greater than steel. I found that I connected deeply with all of the characters and felt every ounce of emotional turmoil that 736 went through. This isn't a simple story of an oppressive evil government. There are a few different factions at work in Aletheia, all of which do the best they can to protect their own people. Sometimes that means they work together, but a lot of times, it means they're at odds. 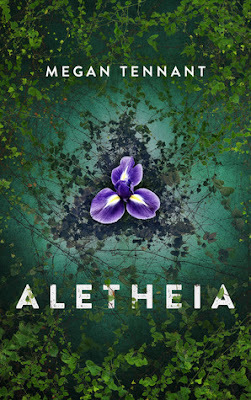 From action packed fight scenes with the zombie-like depraved to heart-wrenching moments when 736 can't find a way to save the ones she loves, Aletheia has everything to keep you reading until the very end. This isn't just an excellent debut, it's an excellent book, period. For anyone who enjoys dystopian or post-apocalyptic stories, Aletheia is a must read.